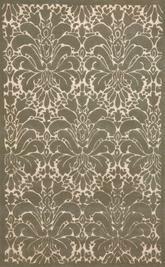 Listed here are misc rugs that we had a hard time classifying exactly which style they were. 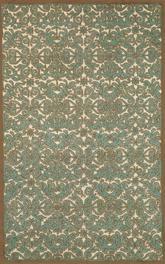 Sometimes it is because of the material, style of design that caused them to be called miscellaneous rugs, but that doesn't mean they are bad. Sometimes, you might not know exactly what it is you’re looking for when it’s time to choose the right rug for your space. You might want something that’s very neutral and works for any kind of room, regardless of the color, or you might be looking for something that’s more off-the-wall and doesn’t fit into any other category. 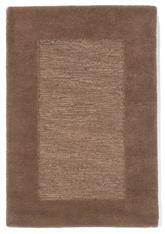 It can be difficult to pin down the types of rugs you mean when you’re searching for something that does necessarily work for existing categories, but with miscellaneous area rugs, you’ll have no trouble finding just what you need. These rugs are here to help you decorate even the most complicated and confusing of spaces with the perfect size, shape, color, and material every time. 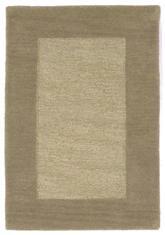 What Makes a Miscellaneous Rug? 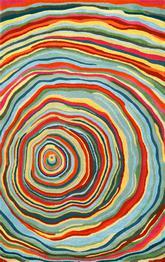 When it comes down to it, it’s hard to really identify what makes a miscellaneous rug. 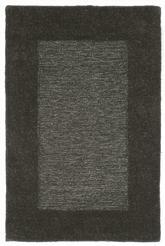 These types of rugs could be just about anything, so long as they don’t fit perfectly into any other category. 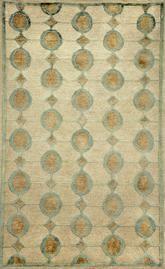 One of the biggest qualities that can affect a rug’s classification as a misc rug is its size. Most of the miscellaneous area rugs available are much larger than the others you might find in other categories, and may be ten feet or more in width. 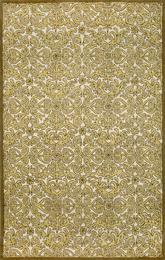 However, this isn’t the only thing that separates them from other, similar rugs. 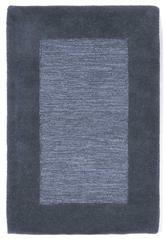 For whatever reason, miscellaneous rugs are just slightly different than their counterparts. For example, they might be available in a strange color that you can’t quite match anywhere else. This is great if you happen to be looking for a unique shade of teal or orange to go with your favorite pair of curtains, for example, or if you’re looking for a very unique color from which to base your entire design scheme for a room. 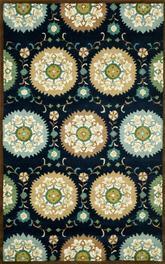 These rugs might also have unique patterns or even appear tie-dyed in some instances. Simply put, if you’re looking for something that stands out from the rest of the rug crowd, a miscellaneous rug is perfect for you. 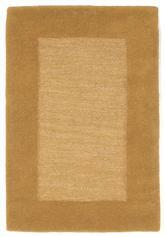 The kitchen is a great place to put miscellaneous rugs to work for you. Since your kitchen is likely a smaller space, however, you will be limited to those you can find in smaller sizes. Choose four or eight-foot-wide rugs for your kitchen space and be sure to go with colors that work well with your cabinets or your appliances. Green rugs are always a great choice for kitchens, as are rugs that have bright, happy floral patterns that pop with color. If you prefer to keep your kitchen to a popular theme, such as country or southwestern, you can do that with a miscellaneous rug, too. 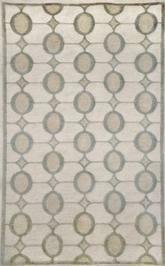 Choose a blue miscellaneous rug with a simple geometric pattern, and you’ll be able to pair it with decorations in just about any style you see fit. Blue goes great with country kitchens, which lavender and brown go well with southwestern styles instead. Gold is another great color that works with just about any type of style. Even if the pattern on your miscellaneous rug is a little odd in comparison to some of the others you might see while shopping, you can make it work when you choose the right color. You might have a little more trouble making a miscellaneous rug work in your living room, but if you’re the kind of person who likes to have a little unique style in every part of your home, do yourself a favor and give it a try. These rugs are a great choice for anybody looking to really decorate their living room with something that the neighbors surely don’t have. 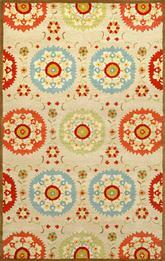 Choose a miscellaneous rug with a border if you’d prefer to keep your room to something more traditional. This is a great way to incorporate the look and feeling of oriental styled rugs without having to commit to a full oriental rug design. Orange, coral, and other warm shades also work well in the living room to give your space a comfortable and inviting appearance. If you will be using a color like this, be sure to chose furnishings that go well with it. Although you might not be able to match the exact color of your rug, you can choose one with a small or light pattern and try to match the accent color in the rug instead. 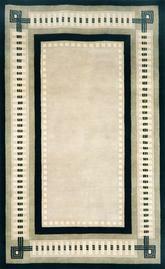 Miscellaneous rugs may be a little out of the ordinary, but that doesn’t mean they can’t work great in the dining room! In a formal dining room, you can let your design ideas soar, and what better way to do that than with a unique rug? 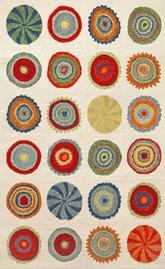 Choose a rug in bright, bold multicolored designs to really bring your dining room to life. With a miscellaneous style multicolored rug, you’ll have plenty of shades to work with when it comes to matching the décor around the room. Best of all, if you select one that also features black or white as part of its design, you can incorporate a black and white room that will feature your beautiful and show-stopping area rug as its main focus. 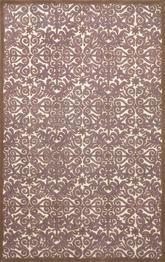 If you prefer something a little softer, purple rugs are a great choice in the world of miscellaneous options. 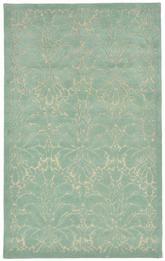 You can find many rugs in other jewel tones as well, including gold, emerald, and sapphire blue. 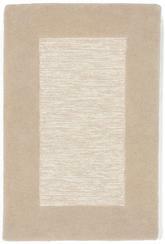 Whether you’re looking for a rug in a unique color you can’t find anywhere else, you’re searching for a hard-to-find material, or you just want to decorate your space with something that stands out from the rest of your rooms, you can find the perfect rug to suit your needs when you shop for miscellaneous area rugs. 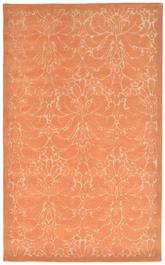 These rugs give you a chance to decorate your kitchen, living room, bedrooms, etc. with whatever you like, all while sticking to any style you hope to achieve. 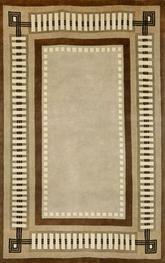 Search for your miscellaneous area rug and you’ll be surprised at just how many great options you have to choose from!